The Tet Offensive was a coordinated series of North Vietnamese attacks on more than 100 cities and outposts in South Vietnam. The offensive was an attempt to foment rebellion among the South Vietnamese population and encourage the United States to scale back its involvement in the Vietnam War. Though U.S. and South Vietnamese forces managed to hold off the attacks, news coverage of the massive offensive shocked the American public and eroded support for the war effort. Despite heavy casualties, North Vietnam achieved a strategic victory with the Tet Offensive, as the attacks marked a turning point in the Vietnam War and the beginning of the slow, painful American withdrawal from the region. As the celebration of the lunar new year, Tet is the most important holiday on the Vietnamese calendar. In previous years, the holiday had been the occasion for an informal truce in the Vietnam War between South Vietnam and North Vietnam (and their communist allies in South Vietnam, the Viet Cong). In early 1968, however, the North Vietnamese military commander General Vo Nguyen Giap chose January 31 as the occasion for a coordinated offensive of surprise attacks aimed at breaking the stalemate in Vietnam. Giap believed that the attacks would cause Army of the Republic of Vietnam (ARVN) forces to collapse and foment discontent and rebellion among the South Vietnamese population. Furthermore, Giap believed the alliance between South Vietnam and the United States was unstable—he hoped the offensive would drive the final wedge between them and convince American leaders to give up their defense of South Vietnam. Did you know? In February 1968, in the wake of the Tet Offensive, the respected TV journalist Walter Cronkite, who had been a moderate and balanced observer of the war&apos;s progress, announced that it seemed "more certain than ever that the bloody experience of Vietnam is to end in a stalemate." 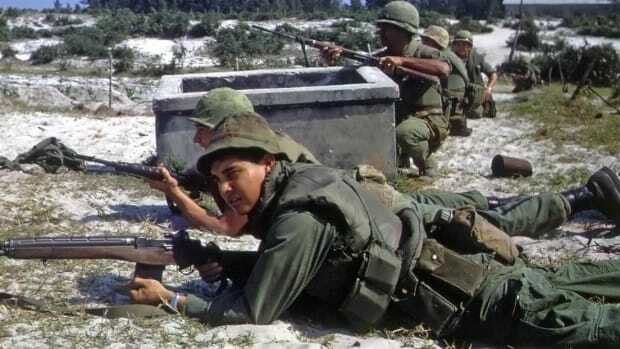 In preparation for the planned offensive, Giap and the troops of the People’s Army of Vietnam (PAVN) launched a series of attacks in the fall of 1967 on isolated American garrisons in the highlands of central Vietnam and along the Laotian and Cambodian frontiers. On January 21, 1968, PAVN forces began a massive artillery bombardment of the U.S. Marine garrison at Khe Sanh, located on the principal road from northern South Vietnam into Laos. As President Lyndon B. Johnson and General William Westmoreland focused their attention on the defense of Khe Sanh, Giap’s 70,000 poised to begin their true objective: the Tet Offensive. On the early morning of January 30, 1968, Viet Cong forces attacked 13 cities in central South Vietnam, just as many families began their observances of the lunar new year. 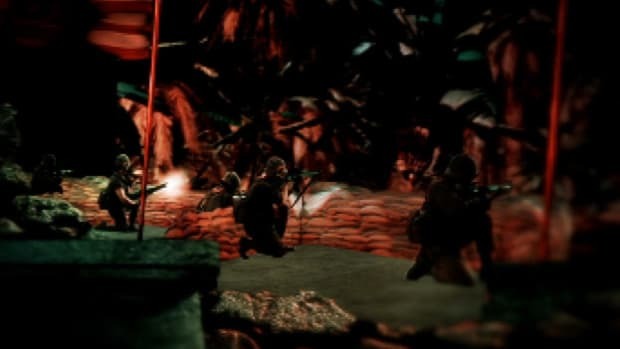 Twenty-four hours later, PAVN and Viet Cong forces struck a number of other targets throughout South Vietnam, including cities, towns, government buildings and U.S. or ARVN military bases throughout South Vietnam, in a total of more than 120 attacks. In a particularly bold attack on the U.S. Embassy in Saigon, a Viet Cong platoon got inside the complex’s courtyard before U.S. forces destroyed it. The audacious attack on the U.S. Embassy, and its initial success, stunned American and international observers, who saw images of the carnage broadcast on television as it occurred. Though Giap had succeeded in achieving surprise, his forces were spread too thin in the ambitious offensive, and U.S. and ARVN forces managed to successfully counter most of the attacks and inflict heavy Viet Cong losses. Particularly intense fighting took place in the city of Hue, located on the Perfume River some 50 miles south of the border between North and South Vietnam. 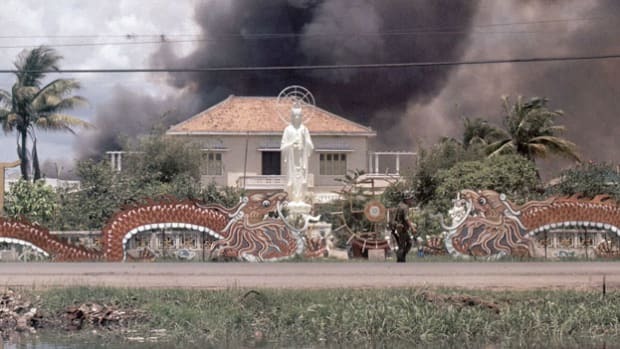 The Battle of Hue would rage for more than three weeks after PAVN and Viet Cong forces burst into the city on January 31, easily overwhelming the government forces there and taking control of the city’s ancient citadel. 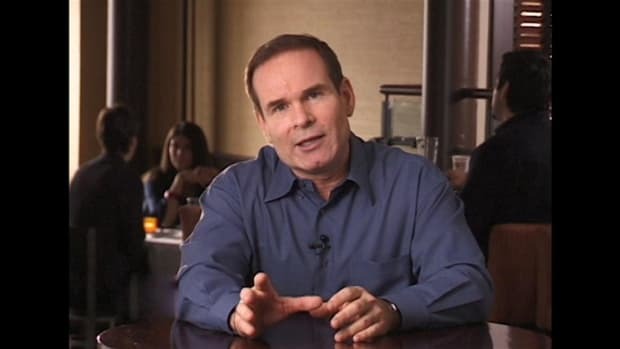 Early in their occupation of Hue, Viet Cong soldiers conducted house-to-house searches, arresting civil servants, religious leaders, teachers and other civilians connected with American forces or with the South Vietnamese regime. They executed these so-called counter-revolutionaries and buried their bodies in mass graves. U.S. and ARVN forces discovered evidence of the massacre after they regained control of the city on February 26. In addition to more than 2,800 bodies, another 3,000 residents were missing, and the occupying forces had destroyed many of the grand city’s temples, palaces and other monuments. The toughest fighting in Hue occurred at the ancient citadel, which the North Vietnamese struggled fiercely to hold against superior U.S. firepower. In scenes of carnage recorded on film by numerous television crews on the scene, nearly 150 U.S. Marines were killed in the Battle of Hue, along with some 400 South Vietnamese troops. On the North Vietnamese side, an estimated 5,000 soldiers were killed, most of them hit by American air and artillery strikes. 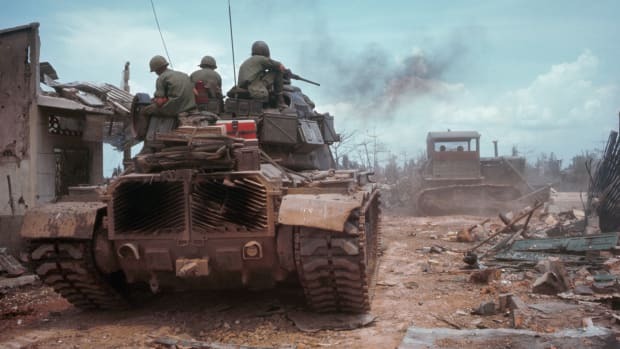 Despite its heavy casualty toll, and its failure to inspire widespread rebellion among the South Vietnamese, the Tet Offensive proved to be a strategic success for the North Vietnamese. Before Tet, Westmoreland and other representatives of the Johnson administration had been claiming that the end of the war was in sight; now, it was clear that a long struggle still lay ahead. Westmoreland requested more than 200,000 new troops in order to mount an effective counteroffensive, an escalation that many Americans saw as an act of desperation. As anti-war sentiment mounted on the home front, some of Johnson’s advisers that had supported past military buildup in Vietnam (including soon-to-be Secretary of Defense Clark Clifford) now argued for scaling back U.S. involvement. On March 31, a beleaguered President Johnson declared that he was limiting the bombing of North Vietnam to the area below the 20th parallel (thus sparing 90 percent of communist-held territory) and calling for negotiations to end the war. At the same time, he announced that he would not be running for re-election that November. Though peace talks would drag on for another five years—during which more American soldiers were killed than in the previous years of the conflict—Johnson’s decision to halt escalation after the Tet Offensive marked a crucial turning point in American participation in the Vietnam War.